In single-processor systems, install DIMMs only into DIMM slots associated with processor 0 (P0). Starting with slot P0 D7, first fill the black slots, and then fill the white slots, as shown in the following figure. 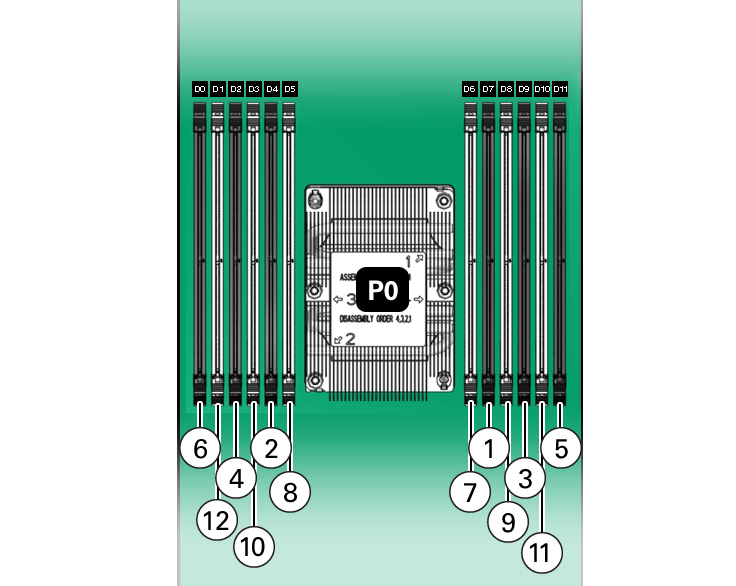 The following table describes the proper order in which to populate DIMMs in a single-processor system using the numbered callouts in the above figure, and the DIMM slot labels (D0 through D11).